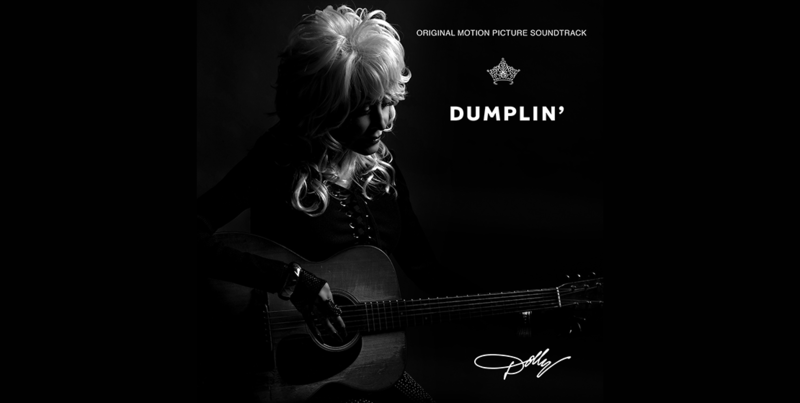 Following months of anticipation, eight-time GRAMMY® award winning entertainer Dolly Parton released last Friday, November 30, the Dumplin’ Original Motion Picture Soundtrack featuring 12 newly-recorded tracks produced by on Dolly Records/RCA Nashville (Sony Music Entertainment). Directed by Anne Fletcher and starring Jennifer Aniston, Danielle Macdonald, Odeya Rush and Harold Perrineau, “Dumplin’” will premiere in select theaters and on Netflix this Friday, December 7. The soundtrack, which features Parton on every song, was produced by GRAMMY® nominee Linda Perry, who co-wrote six songs with Parton. The exceptional guests on the album are as follows: Sia, Elle King, Mavis Staples, Miranda Lambert, Willa Amai, Rhonda Vincent, Alison Krauss, Macy Gray, and DOROTHY, as well as cameos by “Dumplin’” stars Danielle Macdonald and Jennifer Aniston. A track list with song title, performer and songwriter information is below. Click here to listen. With her People Magazine cover story (December 3 issue) on newsstands everywhere and critics’ raves pouring in from such publications as Esquire, The Tennessean/USA Today Network and Elle, Parton began her first round of television appearances in New York City on the Dumplin’ soundtrack’s November 30 street date in New York City: NBC’s “TODAY” [ view here] and “Tonight Show Starring Jimmy Fallon” [view here] and [view here]. In Los Angeles this week, the world-renowned singer-songwriter will continue her support of the Dumplin’ Original Motion Picture Soundtrack by appearing on the nationally-syndicated “Ellen DeGeneres Show” on Thursday, December 6, and CBS’ “The Late Late Show With James Corden” on Thursday, December 6, and “The Talk” on Friday, December 7. Looking forward to 2019, Dolly Parton already has confirmed three fascinating events. Parton is set to return to the hallowed Grand Ole Opry stage to celebrate the 50th anniversary of her Opry membership, performing on Saturday, October 12, 2019, and capping a week-long celebration of Parton’s impact on music and the Opry, dubbed Dolly Week 2019. The week will include: Thursday, October 10 – Opry Country Classics – Featuring performances of #1 Dolly hits, Friday, October 11 – Friday Night Opry – Dolly’s Mountain Soul: Bluegrass, Americana & Roots Music honor Dolly and Saturday, October 12 (two shows) – Dolly Parton’s 50th Grand Ole Opry Anniversary Celebration featuring Dolly Parton and more artists to be announced. Tickets went on sale last Friday at www.opry.com , and instantly each show sold-out. Now through January 17, Parton is partnering with Omaze to offer an extraordinary opportunity. Fans will have a chance to win the ultimate Dolly Parton experience: a winner and their guest will get to to spend one night in Dolly Parton’s personal suite at her Dollywood Dream More Resort! Additionally, Dolly herself will give a private tour of her home-away-from-home, while meeting the guests, taking pictures with them and signing autographs for them. This once-in-a-lifetime experience will be enhanced with additional nights at the resort in other rooms, tickets to Dollywood during its 2019 Grand Opening Weekend, and passes to Dolly Parton’s Stampede dinner theater. Fans can visit Omaze.com/Dolly to enter for their chance to win. Proceeds support Dolly’s own Imagination Library.The Omaze campaign integrates special donation bundles including a copy of Parton’s Dumplin’ Original Motion Picture Soundtrack. Dolly Parton will be honored at the 2019 MusiCares® Person of the Year tribute on Friday, February 8, as announced in September by Neil Portnow, President/CEO of MusiCares and the Recording Academy. Proceeds from the 29th annual benefit gala will provide essential support for MusiCares (www.musicares.org ), a charity founded by the Recording Academy that ensures music people have a place to turn in times of financial, medical, and personal need. The tribute will be held at the Los Angeles Convention Center two nights prior to the 61st Annual GRAMMY Awards®. Recognized for her considerable creative accomplishments and her longtime support of a number of causes through her Dollywood Foundation, Parton will be the first artist from the Nashville music community to be honored by MusiCares. The partial list of artists who have already signed on to perform in honor of Parton include: Norah Jones, P!nk, Mark Ronson, Chris Stapleton, Leon Bridges, Lauren Daigle, Shawn Mendes, Vince Gill, Don Henley, Kacey Musgraves, Willie Nelson, Mavis Staples and singer-songwriter and Dumplin’ soundtrack producer Linda Perry.